HBX and the Military: Is It Right for You? “Perhaps you’re a college engineering major, hoping to land a job in Silicon Valley. A philosophy major, looking to work in a non-profit after you graduate. A recent law school grad preparing for your first job at a corporate law firm. Or an art historian with a dream of someday opening an art gallery. The education industry is changing faster than ever before, and there is an increasing trend to provide crucial skills to students and professionals outside the confines of traditional academic platforms. This has led to many innovative and quite practical educational courses and skill based academies. HBX appears to be a leader in this space, so I wanted to cover them and give our readers a little more insight into whether this is a good opportunity for them. 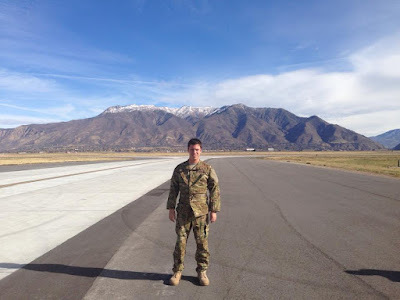 Below was a written interview conducted with Evan Roth, an Air Force pilot who recently participated in the HBX program. His contact information is at the bottom if you want to connect with him on LinkedIn and learn more. Everyone I have spoken to who went through HBX has really enjoyed their experience and recommend it. What do/did you do in the military? I am a Captain in the US Air Force, currently a pilot of the AC-130U Gunship. I have completed several combat deployments including Operation ENDURING FREEDOM and, most recently, Operation INHERANT RESOLVE. Additional duties have included Assistant Flight Commander and, currently, Executive Officer. Why did you decide/are you deciding to get out of the military? I had a service commitment until 2022, however, I had a medical event a few months ago that suddenly disqualified me from flying in the Air Force. I’m currently being processed for medical separation. How did you think about your transition to the private sector? At first, it was extremely unsettling. I didn’t think this was something to consider for another 6+ years. All of a sudden, I was a few months away from being cast out of the safety net that was my military career. Furthermore, I didn’t have the hours as a pilot in command to apply for the major airlines. The regional airlines pay a lot worse than most people realize; many pilots can qualify for welfare programs. It was an intimidating situation, luckily I’ve had strong support from the military structure and friends/family. What forms of education did you consider, and why did you choose HBX? I completed HBX before I knew I was leaving the military. 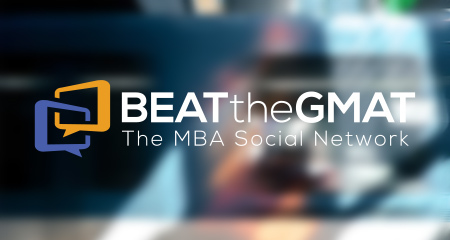 I had been hearing mixed reviews about taking an online MBA, as one of the biggest benefits is networking. I was also deployed and worried about the time commitment, as I wanted to get into a great program to make my money worth it. While deployed, I stumbled across an ad for the HBX program for those interested in business school. The weight Harvard carried behind the program seemed significant, and I figured this would be a great addition to my résumé while deciding what MBA program I would apply to and studying for the GMAT. What was your HBX experience like? The program maintained a high level of professionalism from the start. I was offered a significant military discount on the tuition when I never even asked; I’m assuming it was noted from my application. The experience started by the Facebook group for our cohort where I got to network with many extremely impressive individuals. This group was a true wake up call to the caliber of people participating in the program. The course was as challenging as I’d expect, I’m happy I wasn’t deployed when it started. I’m also glad they pushed the workload early and often, as the exam was challenging. This isn’t a casual “I’ll knock something out in an hour” course, and as time goes on that reputation will spread. I took the exam in a special facility, and felt accomplished passing the course. As the aftermath, I now have a great note on my résumé under education where it would have just been my Bachelor’s from six years ago. Interviewers saw I was not only interested in advancing my ambitions, but lit up at the Harvard name. HBX has come up in every interview, and my ability to relate its benefits to my situation has been priceless. I’m currently looking for a job in the business sector focusing on corporate leadership. It’s tough to reinvent yourself after losing the ability to do what you’ve trained to for years, so I’ve been leveraging my experience as an additional duty leader with many tales to tell of project management and employing teams to get a job done. I’ve already had great leads with several ‘officer to executive’ programs who know we have great skills, just not the industrial knowledge that can be taught. I feel my outlook is bright, and that I’ll earn an offer that I can be happy with. What advice would you have for others beginning to transition? First, learn how to translate your skills. I can’t be a pilot at the level I wanted, but I learned how to talk about managing my teams of employees to efficiently utilize resources as opposed to getting stuck in the mindset that military operations are completely different. It starts with your résumé where you should utilize your on base resources for free guidance. Adjust your résumé to the key words of the job posting you’re applying to. Go to job fairs and practice talking like your accomplishments weren’t even in the military; then, get feedback on what people didn’t understand about your past. Write out all your past stories, and then think of how they apply to the several basic questions always asked in interviews. Keep adjusting, and put yourself out there. Second, NETWORK. Get on LinkedIn, and then find the resources to get the Premium version for a free year as a veteran. Connect to everyone you know. Make a ‘networking card’ with your information and LinkedIn address, you never know when you’ll meet someone looking to hire down the road. Go to job fairs, meet other candidates, then get their information to share notes. If I found a job I was interested in, I’d go to LinkedIn and type “Air Force Academy [company name] [title]” to see who with my background already made it, then ask if they had some free time to talk. This technique has paid dividends, I have people going to bat for me with HR who I’ve never met. Finally, when you do have success, pass it on. I plan on writing up a guide of sorts, as I’m already known as the go-to guy in my squadron to start the job search. The great part is your bases and communities already have people with the tools you need to get a leg up on the competition. It’s up to you to find them. I can’t recommend the HBX program enough, especially if you want that ‘in-between’ for an MBA or even just to learn the basics of the business world. The insights into businesses as small as a yoga studio and as large as Amazon were fantastic, and provided background for responses I use in interviews today.